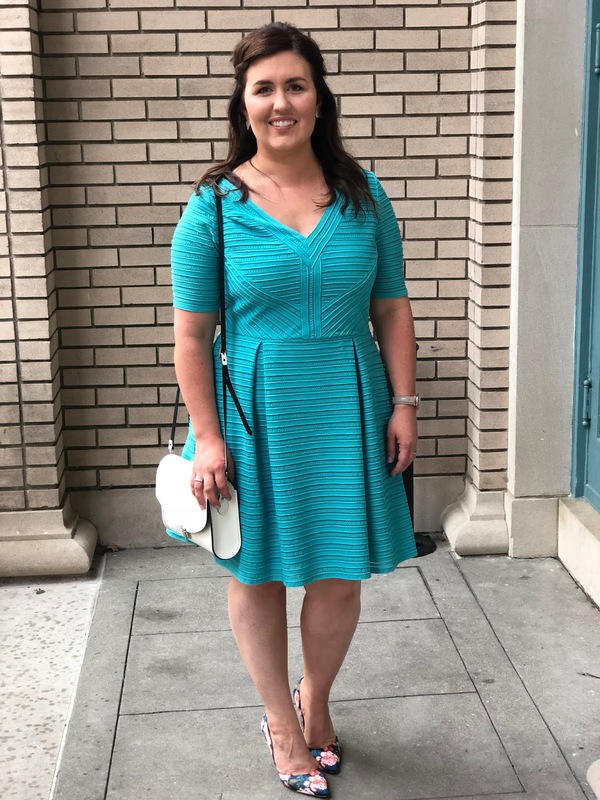 My hubby and I are at the age now where we don’t have as many wedding invites as we do kids’ birthday party invites, which is why I just had to share this wedding guest outfit with you all. I think the most exciting thing about going out of town is planning my outfits. As a recovering over-packing shop-a-holic (say that 10 times fast), I now get a thrill when I plan as many outfits as possible with as little items as possible. Add to that, I have realized the best way to pack is to bring any clothes that make you feel amazing. That way, every outfit feels like you’re favorite. We went away for a weekend last month (Hampton, VA, you’re pretty cool!). It was so, so tempting to buy a new wedding guest dress and shoes … and hand bag. But, I dug around in my closet and picked the clothes that I already own that make me feel confident and comfortable. 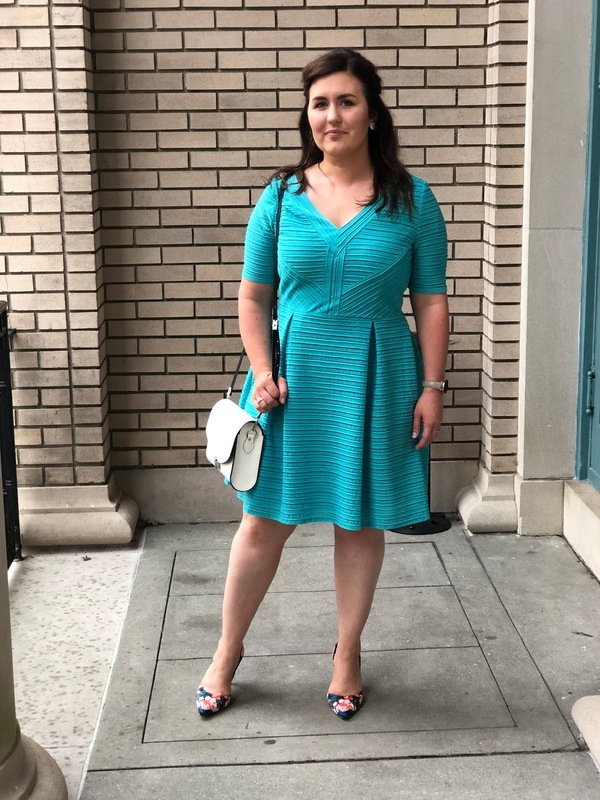 Of course, that meant my favorite Fabletics leggings one day, but it also meant I wore this London Times dress for the main event (a wedding). Paired with my favorite Louise et cie floral pumps and a Cambridge Satchel Company bag, I was comfortable for hours. I did bring my favorite pair of platinum Jack Rogers Georgica sandals, because there was a lot of dancing involved. My watch is a special one that I save for dressy occasions, and it’s from Cluse. On a side note, I love their simplistic design and this one has an interchangeable band. I’ve linked some gorgeous wedding guest outfit options below!